Hello Friends, I am back today just in the knick of time to enter this card in the Colour Me challenge I struggle with the color orange and I wanted to prove to myself that I could come up with something rather quickly and be happy with it. I had the chevron piece of washi tape already mounted on the white cardstock laying out on my desk and I used that as my starting of point. The butterfly and background leaves are from Gina K Designs, the script background is from Stampibilities , and the sentiments are from a new stamp set I recently got from Stampendous called a Bouquet For You. 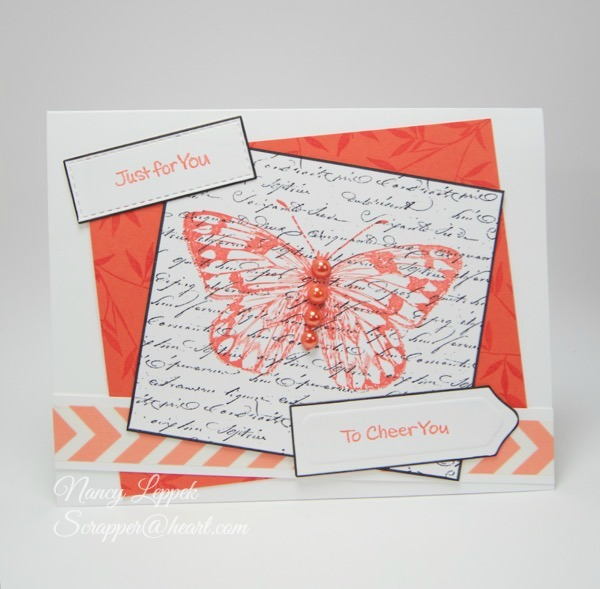 Categories: Cards | Tags: Cards, color challenge, rubber stamps, stamping, Thinking of you | Permalink. You are really on a roll. This is another card I just love. I love the light orange that you used on this one. It gives it a soft touch, just right with the sentiment. Love the design too. Great job with the color orange. It is so pretty. Love it. Beautiful orange colored card. You did great! Lovely card Nancy! That butterfly is so pretty with the matching pearl accents and I love the mix of papers. 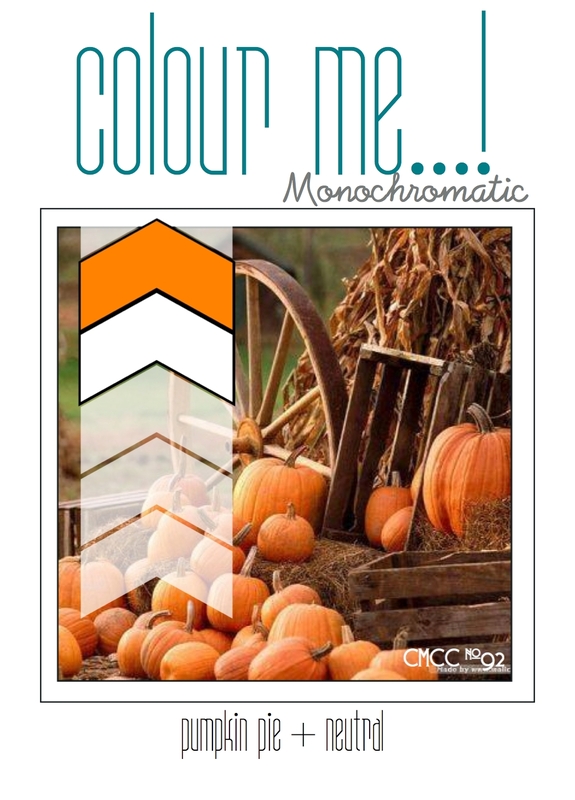 Thanks so much for playing along with us at Colour Me…! This is so pretty!! Love your collage with the butterfly, washi tape and all of your other details!! Thanks for playing along with us at Colour Me! Gorgeous card! Love that beautiful color. Your butterfly is amazing with the bling. Beautifully done! Love all the layering and that lovely butterfly, Nancy. No need to be afraid of orange anymore.